Tropical Passion and Tangerine: Two New Plant Therapy Essential Oils! Two NEW Essential Oils, Tangerine and Tropical Passion are Here! Just in time for Christmas, Plant Therapy is releasing two fan-favorite essential oils, Tangerine Organic, and Tropical Passion! 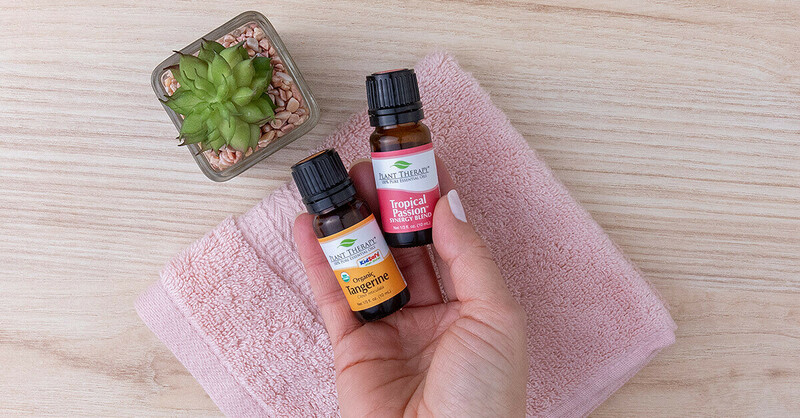 Both these amazing oils were former oils released through our oil of the month program, but you loved them so much we’re making them regular additions to our store! Tangerine and Tangerine Organic have a bright, refreshing, and rejuvenating citrus oil. Its brightness can help clear the mind and reduce nervous tension. It is also a helpful support to the immune system. It can also help calm digestive issues such as a queasy stomach when added to a carrier oil and applied to the abdomen. Tropical Passion smells amazing as a fragrance or room freshener, but it also boasts some amazing benefits for our emotions. And, as a special treat for those who fell in love with Honeybell, Tropical Passion offers another option when you want to switch between scents. Where Honeybell is uplifting and calming, Tropical Passion is uplifting and energizing. Tropical Passion Synergy brings you an aromatic symphony of essential oils. Mandarin Red, Orange Essence, Tangerine, and Buchu combine for a bright and fruity scent. Anise and Peru Balsam add a pop of spicy, sweetness, while Almond Bitter gives it the perfect amount of nuttiness. So often, we focus on the soothing concerns once they bother us physically. And, yet, so many of our physical symptoms begin with a less than optimal state of mind. When we can ease the source below the surface, we have the opportunity to enhance our overall wellbeing. Use Tropical Passion to help lift your mood and energize your mind simply through the power of smell. Add your ingredients to a plastic squeeze bottle and shake hard to mix. These both sound Devine! Lip balm are on my list this year! I got Tropical Passion when it was the OOTM. It’s super fruit punchy smelling and I like using it in a room spray.. I am looking forward to trying Tangerine out! Tangerine! I love any citrus smell. I have Tangerine from the checkout offer for $5 and I couldn’t be more than happy. Can’t wait for my shipment to arrive and start using it. I really like Tangerine. It is a good pick me up kind of a scent. If you like citrus scents this is one to give a try. Oh I am so excited to get these! Thank you for the coupon code!! BOGO today. That’s so awesome! PT you are the best! 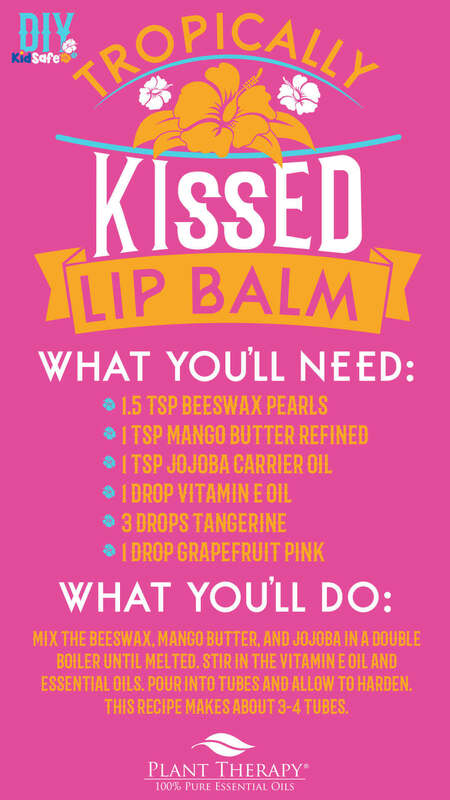 Thanks for the lip balm recipe, I’m really needing to get into lip balms now that it’s winter. My favorites are spicy and citrus. years I bought soy candles from a gal in Hawaii, they were Plumeria scent and I LOVED the scent….maybe you can come up with that one? I am so excited to try Tangerine! I just got it!! I think it’s going to blend well with my other citrus and so many other oils I have! Yay!! I love the oil of the month club! Tropical Passion was perfect for my holiday bath bombs! Fruits are my favorite! I love Tangerine already but this sounds even better! Tropical Passion is just what I need to make it through a miserable MN winter! I always think I’m satisfied with my collection of oils…and then PT introduces yet another amazing sounding oil, or an article explaining the benefits of an oil I don’t have and… I just have to add it to my set! I love Honeybell, so they had me on “for those who loved Honeybell”…lol. I’m not a huge fan of “tropical” scents generally, but Tropical Passion sounds like my cup of tea because I love citrus blends. Honeybell (and Lemon Cupcake!) are my favorites to diffuse. I cannot WAIT to try Tropical Passion! Wow, I can’t wait to try to tropical. Can you substitute anything instead of the mango butter? Danielle, you can substitute it with cocoa butter, though it may change the aroma a bit. I could use a whiff of the tropics while its so cold and rainy right now! I can’t wait to try both of these. Thank you for the ideas! Mmm.. tropical passion sounds like it may be one of my new favorites, can’t wait to try it! Thank you for the lip balm and body wash recipe! 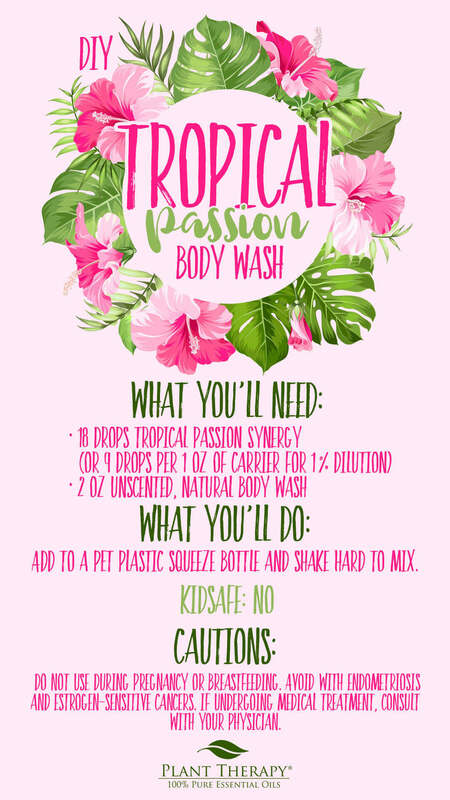 I love Tropical Passion synergy and know that the body wash will be great smelling. These oils sounds so good! Definitely trying the tropical passion first, and I know that tangerine will smell amazing as well! Tropical passion sounds heavenly! I will definitely be trying it out! So thrilled you’re offering organic tangerine. Thank you, PT, for offering so many organic options!! Oh wow! These sound so delish. Cannot wait to get my hands on some tropical passion. I LOVE citrus scents! Oh my! Payday needs to get here! I would love to try these out! This sounds lovely <3 Tropical Passion is my favorite OOTM, so glad to see it available again!! I will be trying both because fruits along with mints are my favorites! Tropical passion sounds soooo nice! Definitely adding it to my wishlist. I cant wait to try the tropical passion. I diffuse the regular tangerine on a daily basis- I would like to try the organic for a rollerball. I think tangerine will make it to my wish list! I already love orange, lemon, lime…! Citruses are my favorite for adding in cleaning products- the smell is so bright and fresh. I’ve heard a lot about Tropical Passion before, thanks for all the info. I read on the description of tropical passion that you shouldn’t use it if you have endometriosis. Does this mean just don’t use it topically or don’t diffuse it either? Also, what ingredient(s) in particular are unsafe for people with endometriosis? Tropical Passion just became #1 on my wish list! It sounds amazing! I have been waiting for tangerine! Thank you for sharing the body wash and lip balm recipes! I will add them to my DIY’S they both sound amazing. I loved the tropical passion oil of the month. I am glad it will be sticking around.